Casa das Palmeiras is situated quiet in the western Algarve, in Vale da Telha / Arrifana in the heart of the Nature Reserve Costa Vicentina in the Algarve. 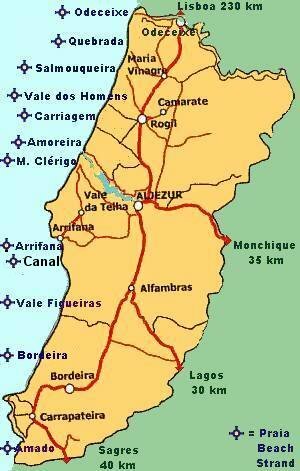 This means that all beaches in the western Algarve are not too far away. Beaches like Amado, Bordeira in the West as well as Odeceixe which is at the northern border of the Algarve to the Alentejo. The area of Vale da Telha and Arrifana is mainly plane, the villages reach almost to the sea, the cliffs and view points there. It is ideal for walking or cycling. Casa das Palmeiras is located between the beaches and Monte Clérigo, Arrifana, each 4 km, and the village of Aljezur 6 km away. The big beach of Amoreira you can reach in 5 km, when crossing the river inflow to the beach. 1 supermarket, a snack bar and a restaurant is within a 2 minute walk. A lake and a tennis court are nearby the property. The hotel swimming pool, only a few meters away, can be used by a payment of (half day 3 €, whole day 5 €) per person. 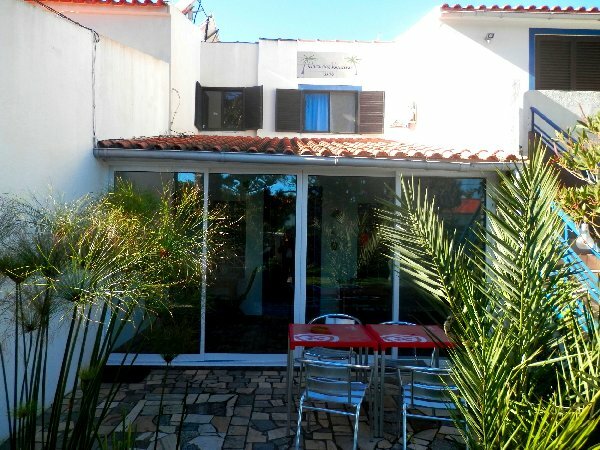 Casa das Palmeiras rents a double rooms with private bathroom. 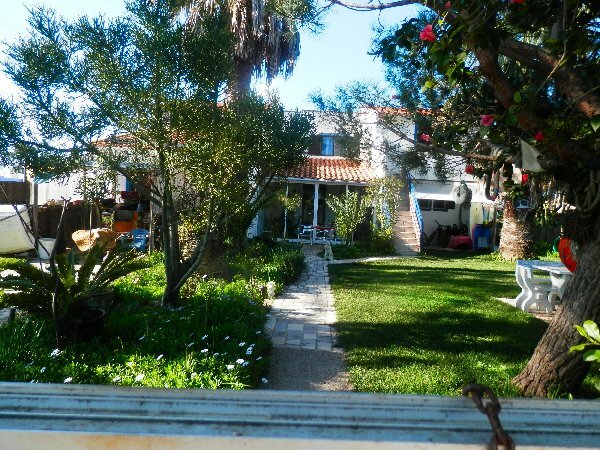 All rooms have views to the garden and Portuguese, and satellite TV. There is a community fridge for all rooms and WIFI. A small community kitchen can be utilized separately for 5 € per day of use. The kitchen is equiped, microwave, toaster, 4 burner gas stove. The front garden area with lawn can be used, there are portable BBQs. Prices for customized mountain bike, walking or climbing tours so as Kayak and boot tours or ténis lessons on request. Mountain bike rental from 10 € on per day. Surf course (5 days) 200 € low season/ 220 € high season per person. Only board 15 €, wetsuit 5 € per day.